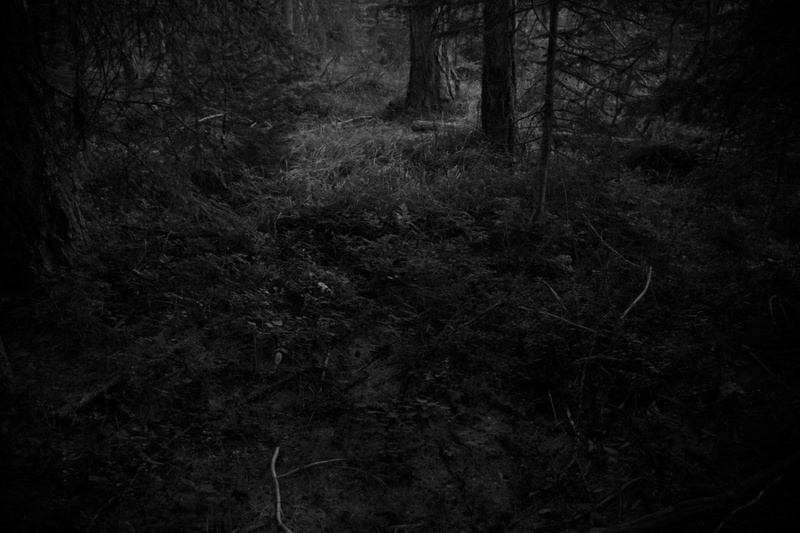 Portfolio & Interview Ken Rosenthal – The Forest Ken Rosenthal considers his latest series The Forest his most complicated and personal work to date. The darkly veiled black-and-white images create what the artist terms a "thin place," using natural surrounding to convey internal physical and psychological states. 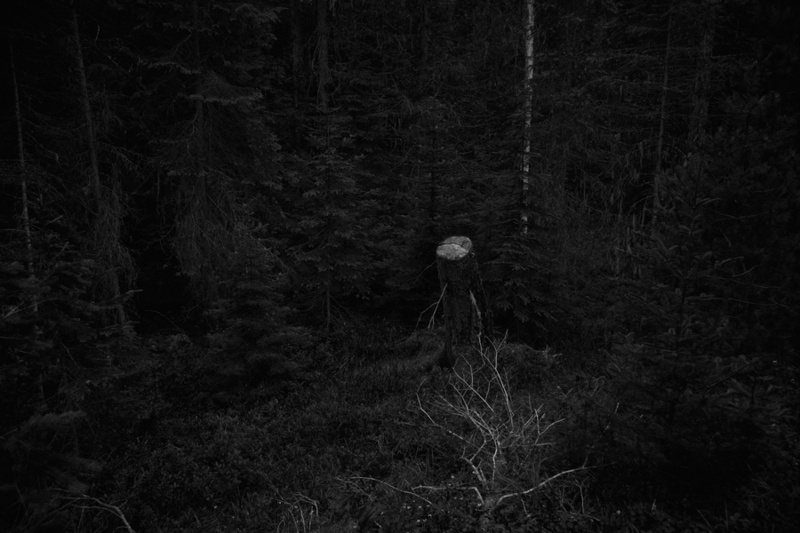 Ken Rosenthal considers his latest series The Forest his most complicated and personal work to date. 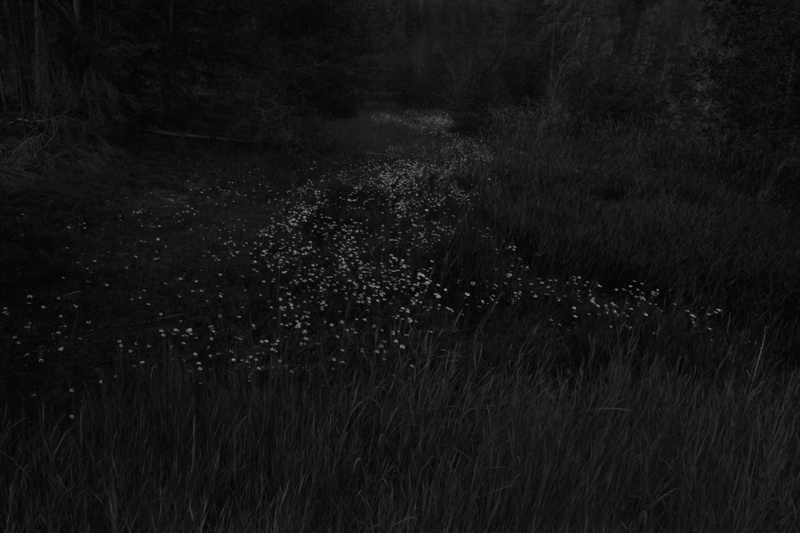 The darkly veiled black-and-white images create what the artist terms a "thin place," using natural surrounding to convey internal physical and psychological states. 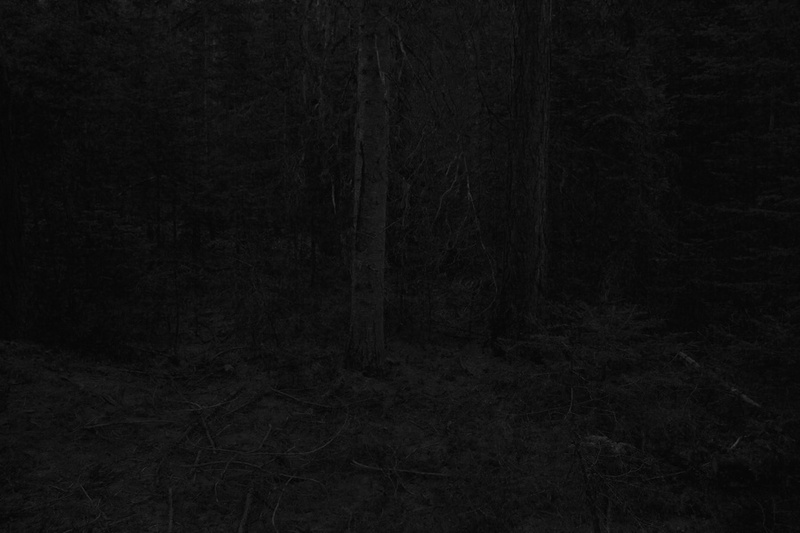 Made over the course of four years near Rosenthal's cabin in NE Washington state, the nocturnal and entropic images of The Forest offer a compelling metaphorical narrative about personal turmoil and growth. photo-eye is excited to publish The Forest on the Photographer's Showcase, and Lucas Shaffer spoke with Ken Rosenthal about the motivations behind and creation of this new work. Lucas Shaffer: Can you tell me a little about how the project got started? Did it grow organically or was it something you had thought about for a while before you began shooting? Ken Rosenthal: The series evolved pretty organically. I was up [in Washington] in 2011 and it was the first time in a while I had been up there with my two older daughters alone. Lisa and I had just had Harper, our daughter, at the end of 2010, and there were changes in the family dynamic. The girls were experiencing some sibling rivalry — there was a little bit of jealousy there. I thought it was a really good thing to be up there with them and give them some focused time, but there was a lot of tension, so at the end of each day I was drained and needed some time alone. At the cabin it stays light until 9 pm. I would go up pretty late because we'd make the most of the day and after a few nights of going out, I was really starting to pick up on a lot of the changes that were taking place within the family and how that was impacting me, either directly or indirectly. I started taking the camera with me as a way of journaling. I've never been one to keep a written journal, so my journal's have typically been photographic. I wasn't thinking specifically about a series, but after a few nights of shooting and then coming back and taking a look at the work on my computer, I became pretty intrigued. 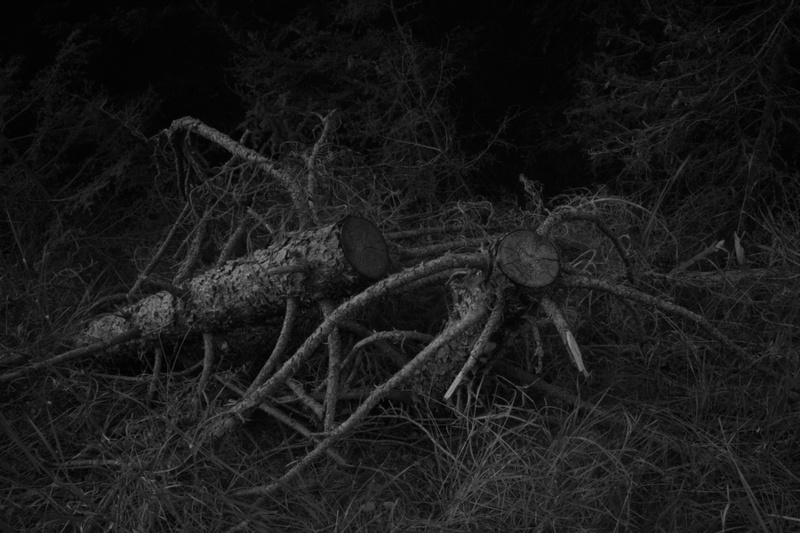 LS: You mentioned photographing at night or at twilight; how long were some of the exposures? KR: They range. They're as short as several seconds long but they can get up to 10, 15 minutes long. There's a few images in there where there's so little light that they're really long exposures. 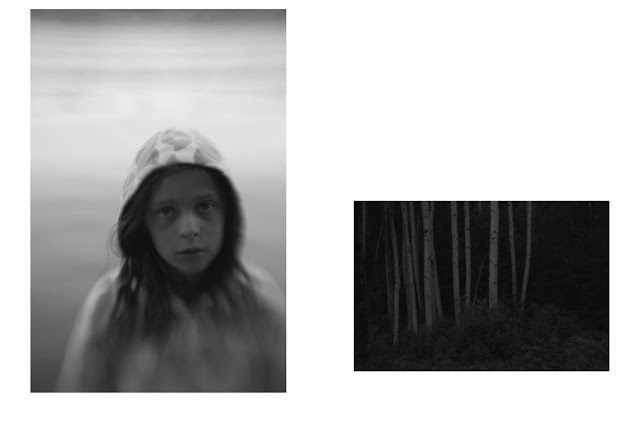 LS: But you are still making the choice to print the work down, to make the images darker. KR: Yeah. I think that the way they are printed down functions very similarly to the way that the diffusion functioned in my earlier work. It tends to obscure certain details. It makes you look harder. It takes away a lot of specificity. It removes the specificity of place, which in essence does bring you back to a universal quality. I initially started thinking that this work might be a color series, so it could have been the first color series that I'd made. When I got back to Arizona at the end of the summer, I realized I was really making a black-and-white series because I kept pulling back on the saturation levels and de-saturating the images. I was in essence, making them monochromatic. LS: How did you make the decision to print with such a dark palette? KR: I think it became a realization that I kept trying to make the images look the way that I was seeing them, as dark as it is out there. Once you get to a state of darkness you're really just working with moonlight or in very low moon situations, just starlight because where the cabin is — it's so far removed from any city lights. It's around 100 miles from the closest city. 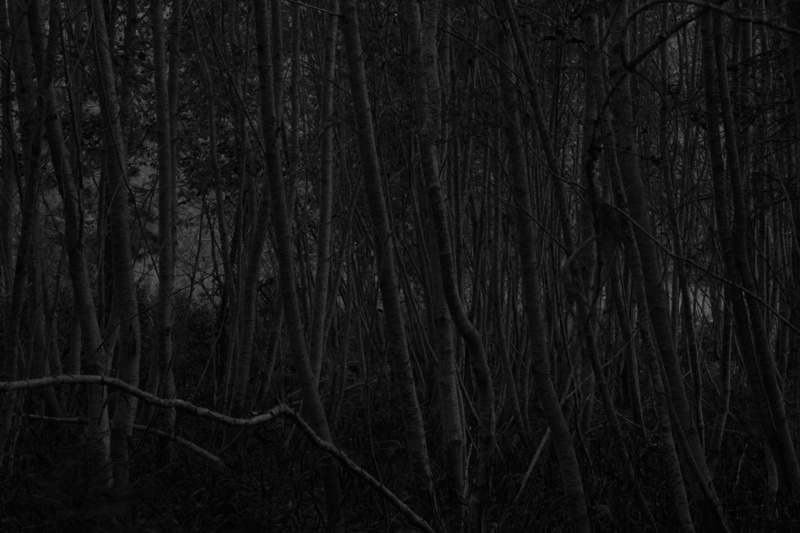 I really wanted to try and get the prints to look as close to what I was seeing, to emulate as closely as possible the experience of being in a very remote forest at night, where there's very little light. LS: In your project statement you have listed this as one of the most complicated and personal works that you've ever made. Why is that? KR: The first year that I worked on it, what was really at the forefront of my mind was the transition to a blended family at the time. I was in the relatively new marriage with two children from a previous marriage and Lisa and I had a child, Harper, at the end of 2010. Now it was a pretty dynamically different family unit, and there were a lot of wonderful things about it, but it came with challenges. My stress level was pretty high at that point. When I got to the second year's work, shortly before I had left for Washington to go up and vacation and make work, I was diagnosed with cataracts, which was pretty strange at my age. They were not only present but they were beyond the point when they should have come out. They were quite... the doctor referred to it as ripe. He was very surprised that they had developed so quickly. The doctor wanted to remove them immediately, and I got really scared that something was wrong with my eyes, even though I knew logically it was a very standard and low-risk procedure. It was still my eyes. I reacted a little more strongly than I should have to it, and I went up and I spent a month shooting before the surgery but at that point I had lost about all my night vision. So the second year I had an even higher concentration of black-on-black images and was a little bit harder to read. I think a lot of what I was thinking about was the difficulty of seeing. Having to go out and make the work was an additional challenge in such a dark place even with very bright flashlights, it was tricky to tell where I was going and then actually operating the camera and trying to focus was just… it was an exercise in futility, so I wound up really having to bracket with focus as well as with exposure. When I got back and had the surgery, it was a revelation — the first time I'd actually, truly, seen this work that I'd been making. The third year was this very new experience. It was an entirely new way of seeing something that had become familiar over the time that I had been working on it. Now, I was even more aware of what I was seeing and it brought a different awareness to the series. At the end of that summer, I think my mind had resolved itself. It was a combination of this excitement at seeing this place freshly that was kind of leveled by a sense of turmoil in family life. When I got back up there in 2014, there was so much going on between issues with one of my children and problems within the marriage that there was definitely final chapter, if you will, that had to be added. LS: That makes perfect sense. Especially as it keeps going on as life keeps changing. That's what I see as the major theme of the work. A cycle where change is always happening and that you don't always have a clear path or even a clear image of what you're seeing. KR: Very much so. I think that we're constantly evolving, whether it's an emotional evolution, physically — our bodies change over almost completely every 8 years or so — that was very much on my mind. At that point, the path of my life, especially as it got in the last couple years, was so uncertain. 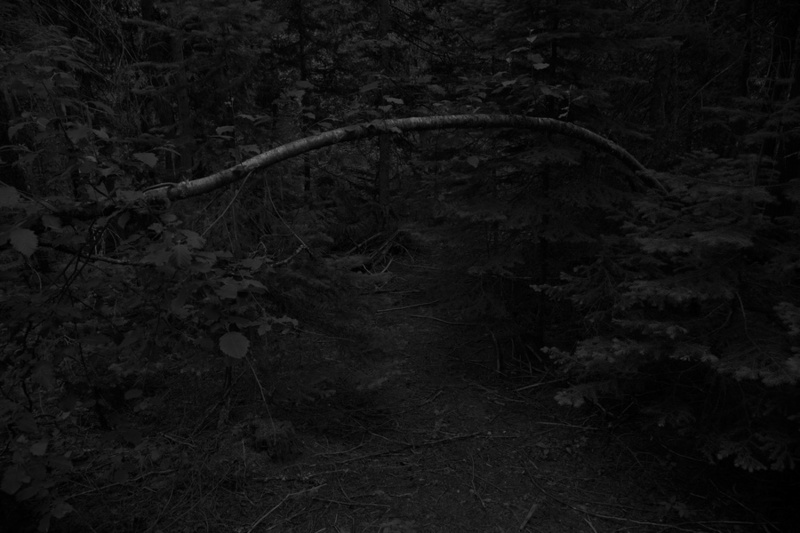 You do see a lot of paths that tend to show up in the images. There are literal paths and then there are paths that are a bit more metaphoric. They are often not entirely clear. They are often times sort of a vanishing point in where at the rear of the image, it just sort of drops off. LS: How did you eventually know the series was finished? KR: I think there's the old expression, "You'll know when it's done." There have been some instances where I'd say, "Yeah, this is kind of true." After making this series, I don't necessarily subscribe to that because in 2013 I thought "Oh, it's done. I know it's done," and it wasn't. 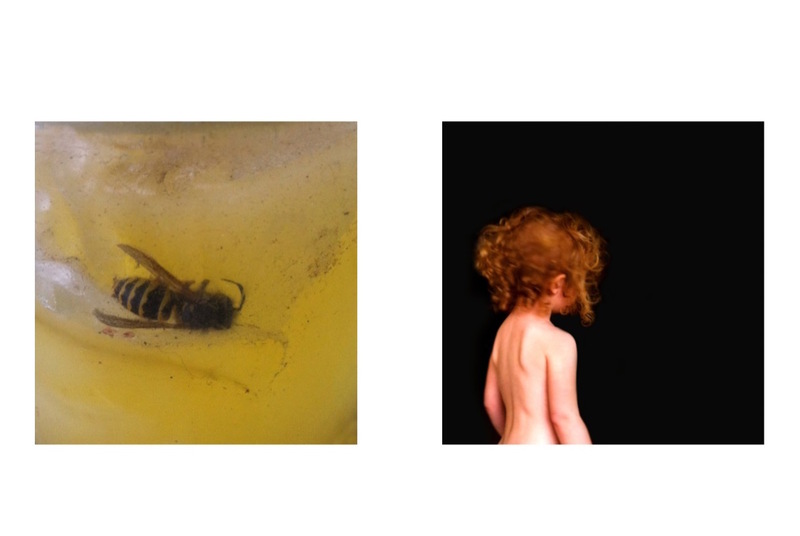 Each year, as I was really working on the edit and bringing in the new images with the images that I had already made, I started to think about it in two ways: as a body of work for exhibition as well as a book edit. Within a couple years, I thought "I have an exhibition here," but there are still things to tap, especially in terms of a book. When I got back from the fourth year and really had time to sit with all of the work and began making some early mockettes for a book, then I knew truly that it was done. Anything else was just going to be repeating myself. LS: How many images are in the total series? In the full sequence? KR: Oh, boy. I would say I have an edit of about 35-40 that I feel is incredibly strong for a large exhibition. The book is closer, I think, to about 50-55 images. I think the narrative can make sense in as few as 40, but I think it's strengthened by an additional 10. LS: That's interesting. I think that's not uncommon; there's a book edit and then there's an exhibition edit because they are different spaces. That is one of the pleasures of a photographic book, you have time on your side to really develop a narrative. KR: Yeah. I really enjoy both. I think the laying out of a book is more satisfying. I think it's a deeper involvement. The book is something that in a perfect world exists for a very long time. The exhibition is infinitely more ephemeral. I finished a new project recently that I started when my daughter was starting to go through some medical issues and it's just conceived of in book form. I don't have any thoughts of exhibiting the work or necessarily even releasing prints. It was something that was really all about the editing. As things were falling apart in the family, I was really going back, taking a look at a lot of work made over a 10, 12 year period, all up in Washington. All work that was made in the area where I made The Forest. It wound up serving as like an introduction to The Forest series or a companion piece to it in that it pictures a lot of the family dynamics and little dramas that wound up shaping from the underlying narrative within the series. LS: Can you tell us a little bit more? Is this series pictures of your family? More representational? KR: It's a mixed bag. There are a number of portraits, a number of pictures of people in the family up at the cabin, there's a lot of interiors. There's landscape. I think it makes sense once you take it in, but it's a combination of color and black-and-white; it's mixing different formats, it's a really strange project. I see this as book that's very small in scale. There are quite a few images in it, but I see this as a very intimate, hand-held sized book. A very different experience than I think the forest would be in book form. LS: What's the project called? KR: Days on the Mountain. 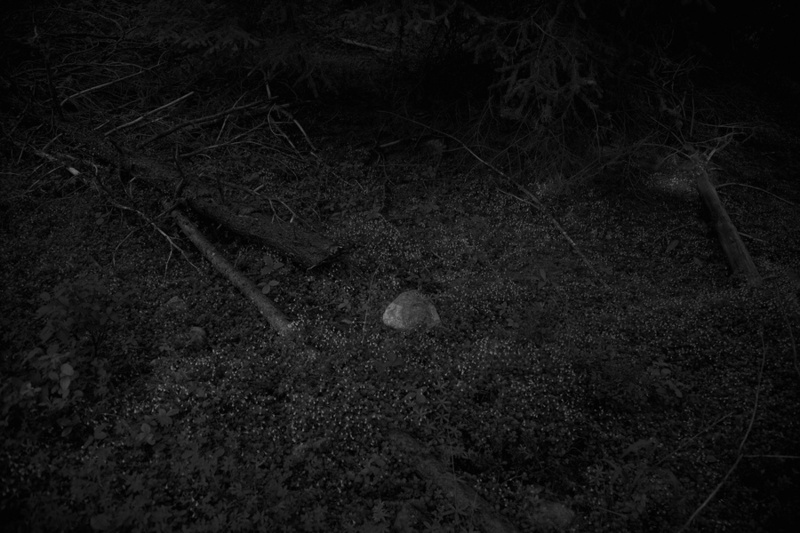 LS: The Forest itself is very different to me than your earlier processes. It's not silver gelatin work. How did you make the decision to change and how do you see this in relationship to your previous bodies of work and what you have already created? KR: I think that I had been very frustrated not shifting gears sooner. I had wanted to make a change in the work that I was making. There were differences in each series. Formally, it became very similar. It was a defining style, I guess. I wanted to break away from them and try something different. There was an apprehension that I felt, wondering would the audience that I had been able to develop, would they follow along if I made a radical shift? Eventually, I got to a point where I felt comfortable enough with where I was after having worked in that style for 10 years or so, to start to make a change. There was a series that I think you guys have on the Showcase, That was the River, This is the Sea — that was the first series in which I got away from that pictorial style. LS: The Forest is your first fully digital series; how does that feel? LS: The right tool for the right job. 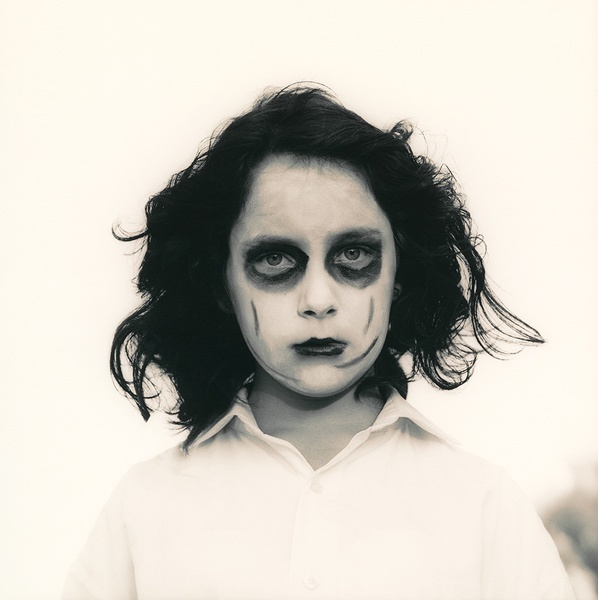 Ken Rosenthal is a photographer and teacher based in Tucson, AZ. 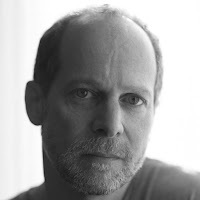 He has exhibited internationally and his work is in the permanant collections of The George Eastman House, The Art Institute of Chicago, and The Portland Art Museum among others. Rosenthal's monograph Photographs: 2001 – 2009 was chosen as one of the Best Books of 2011.